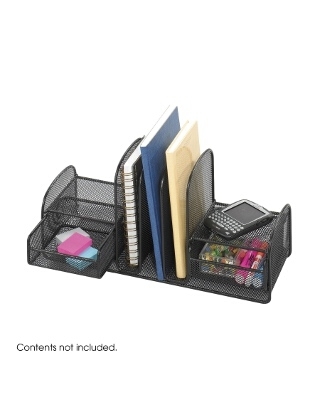 Organize with three vertical sections for file folders or binders. Store small items in two slide-out baskets for easy access. Side shelves are designed for small electronics and miscellaneous accessories.